The 2008 Giornate del Cinema Muto was filled with many interesting and worthwhile titles across a wide range of what comprises silent film, but as day six dawned it felt like we had experienced little in the way of cast-iron classics. Plenty to intrigue and inform, few that would have made you want to rush out into the streets and drag in the nearest passer-by, telling them that they just had to see this. Sparrows (though it disappointed me) already enjoyed classic status; the Griffiths were a surprise, but they weren’t going to upset the pantheon; Ed’s Co-ed was very enjoyable, but it was an amateur college movie when you got down to it. It has a lush, gauzed look, but does not compare visually with Rosita or Dorothy Vernon, and the plot is so thin I found myself wondering why they made it at all. All of which may be a warning not to judge films too much by how they appear on a monitor, without music or audience. On the big screen, slightly bothersome tape quality notwithstanding, with an audience out to enjoy itself and Neil Brand in commanding form on the piano, Bardelys the Magnificent was a triumph. It is an adaptation of a Rafael Sabatini novel, he of Scaramouche, The Sea Hawk and Captain Blood, set in seventeenth century France. Bardelys, played with rogueish aplomb by Gilbert, is a devil-may-care courtier notorious for his success with women. He takes on a bet that he can marry Roxalanne de Lavedan (Eleanor Boardman), daughter of a landowner believed to be inimical to the king. In a sequence of stills, representing the missing reel from the film, Bardelys comes across a dying rebel whose name he takes as a ruse to enable him to enter the castle, with plenty of attendant problems when he finds that he is now believed to be a notorious anti-royalist. 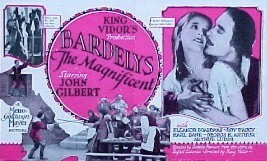 The centrepiece of the plot is Bardelys’ wooing of Roxalanne, which swiftly moves from challenge to real affection, leaving Bardelys and the film with the moral dilemma of how to negotiate the bet that underlies his actions. We won’t give the game away, as the film has yet to receive its American premiere and is going to be a treat for many audiences, but just to say that Gilbert and Boardman are both of top form, capturing the spirit of the text and the age in witty style. Wit is the optimum word; that sort of wit coming out of crisis that characterises the best of the Sabatini and Dumas school. The film climaxes with an escape from the scaffold sequence that spoofs Douglas Fairbanks, with assorted outlandish bounds to freedom, culminating in Gilbert leaping off battlements with a makeshift parachute. This sequence is the part of the film that has come for the highest praise, but I felt it veered on the facetious side – the film would have been better without it. The film has some modest failings. The plot is a little thin, perhaps lacking a good sub-plot to add strength to the brew. There’s evidence of economies in some of the sets, which makes the film less of a visual treat than it ought to have been. But the audience relished every minute of it, through to its satisfying conclusion. Definitely a film to catch when you get the chance. 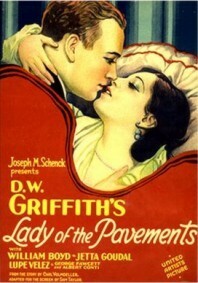 D.W. Griffith’s final silent film was Lady of the Pavements (1929), in which the old master achieved the near impossible in making Lupe Velez sympathetic. Mind you, it didn’t look that way early on in the film. The story is a take on Pygmalion, where a German diplomat Count Karl von Arnim (William Boyd) tells his cheating duchess fiancee (Jetta Goudal) that he would rather marry a woman of the streets than her. The rest of the plot you could probably come up with yourselves. The duchess gets one of her retinue to recruit a singer from the lowest dive in town, and to train her to appear to be a gently-born lady. Karl will then fall in love with her, which he duly does, and when the deception is revealed … well, of course, he marries her anyway. The singer they recruit is played by Lupe Velez, the Mexican bombshell whose film performances are invariably cranked up to eleven. It’s no different here, and for much of the early part of the film she is pretty much unbearable, an unexceedingly unlikely future mate for the fastidious Karl. And then some modest magic occurs, and we start to care for her. Remarkably, Velez has a soft pedal and is able to do poignant. She reveals unexpected sensitivity of performance as her predicament worsens, and one feels for her. She is the best thing in the film, as most of the rest of the cast go through the motions, though I quite liked Goudal’s vindictive duchess. It’s not a great film, but it is a more than competent one, with some stylish camera movement, though with a sense that sheer studio power was carrying Griffith along. In the end, the film was another commercial flop for him, its greatest success coming from an Irving Berlin song Velez sings, ‘Where is the song of songs for me?’ (memorably recreated for us by Joanna Seaton), a recording of which was a hit for her (the film was released with synchronised orchestral score and songs from Velez). For the cognoscenti, the highlight was probably the scene towards the end where Velez, back in the restaurant where she started, sings a sad song and Karl appears to her in place of everyone in the room through progressive multiple exposures. So farewell then, D.W. Griffith the silent filmmaker. 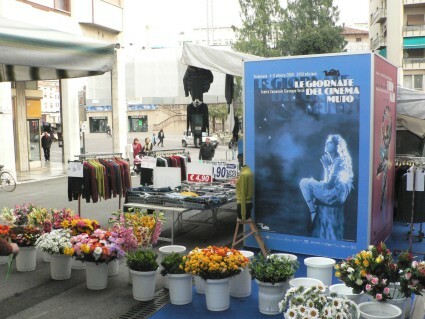 Pordenone regularly dedicates a section of the festival to the work of one of the world’s film archives. This year it was the Slovenian Film Archive, or Slovenski Filmski Archiv, celebrating its fortieth aniversary. I only caught the first few titles in its programme of actualities ranging from 1905 to 1937, but there was some magic there. The first Solvenian films were shot by Karol Grossmann in 1905/06, and we saw a striking high-angle view of townsfolk coming out of church in 1905, which had a real sense of pulling back the curtains to reveal the past; and delightful film of Grossman’s children, which has been used as part of the archive’s animated logo. But the real treasure was Postojnska Jama (Postojna Cave) (1926). Postojna Cave is a spectacular cave system and a top Slovenian tourist site. The film showed us the interior of the caves (the catalogue claimed that it was the first film ever taken underground, which may well be the case), through which a train travelled, with the passengers carrying flares. The result was a phantasmagorical tour de force, as white lights and smoke lit up the fantastical shapes within the cave, looking for all the world like a tourist trip through Dante’s Inferno. 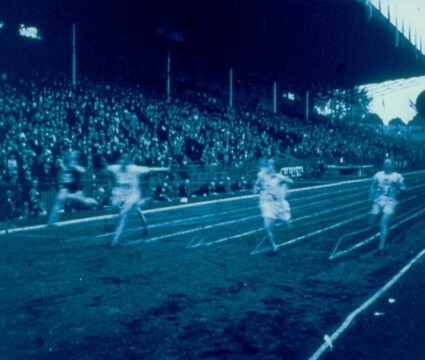 The interpolation of some still photographs deadened the effect slightly, but this short film (five minutes) provided perhaps the most dazzling visual effect of any film shown at the festival. Another anniversary marked by the festival was the thirtieth anniversary of the celebrated FIAF congress of 1978, held in Brighton in the UK, which held a symposium which examined films from around the world made 1900-1906. This epic undertaking (548 films were screened) effectively kick-started the serious study of early film, and had huge repercussions on scholarly understanding, publishing, video releases and some notable academic careers. To mark the occasion, the festival invited some of those who were at the original symposium to select two films each from the 1900-1906 period, and to say why they still excited their imaginations. I was greatly looking forward to this part of the festival, and it’s sad to have to report that it was, in all honesty, a bit of a shambles. There was no sense of a governing idea, several of the prints were quite poor and appeared to be (and some certainly were) the prints shown at the original symposium, in some cases with quaint introductory titles. In at least one instance the wrong version of a film was shown, and there were some titles that weren’t in the catalogue at all but got shown because they were on the same reel as one of the scheduled films. I didn’t stay for the second half of what was a long session, but others reported similar disappointment. Of course, classic titles such as The Life of an American Fireman (1903) and The Great Train Robbery (1903) are never going to fail, but the highlight, ironically enough, was a new discovery. George Albert Smith’s Brighton Sea-going Electric Car (1897), discovered this year by the Filmoteca de Catalunya is a mysterious masterpiece in miniature. 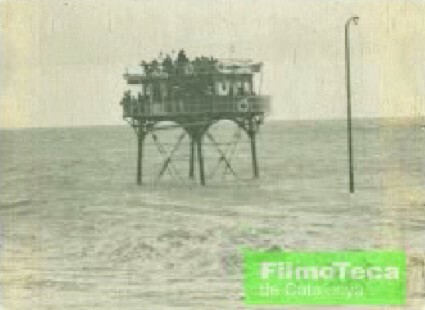 This was an elevated, sea-going platform, a sort of maritime tram, invented by Magnus Volk, which is seen to traverse the screen from right to left, like some bizarre vision of modernity drfiting into view then out again. This was a work on both an intimate and an epic scale (it is based on a novel by J.A. Friis), excellently played in a fine naturalistic style by all concerned. It was good human drama. It’s hard to make a dull-looking film when you have so much snow to work with, and Schnéevoigt did not fluff a single scene. The only disappointment was the print, which was a TV print with rounded corners. This was something of a distraction. Presumably it is the only material that survives. We were told that the film had previously only been available in sound speed form, but has now been re-photographed at 16fps. Fresh, unusual and soundly executed throughout, Laila was the outstanding feature film of the Giornate. Flagging a little by this stage, and with no desire to see the new documentary on Mary Pickford which was the main evening screening, that was the end of Thursday for me. Day seven, and the last of these reports, will follow, bringing us a poignant tale of class divisions, a paean to London at its imperial zenith, a ballet master turned puppet master, two Lillian Harveys, and one minimalist.